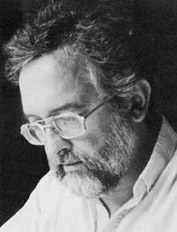 Born in Paris of Czech parents, December 6, 1939, Tomas Svoboda composed his first opus at age 9 and was admitted to the Prague Conservatory in 1954 as its youngest student. In 1957, his SYMPHONY No. 1 (of Nature) , Op. 20 (completed at age 16), was premiered by the Prague Symphony Orchestra. Premieres and radio broadcasts of 7 other orchestral works by 1963 brought national recognition to Svoboda, clearly establishing him as Czechoslovakia's most important young composer. In 1964, the Svoboda family departed Czechoslovakia and settled in the United States, where Svoboda enrolled at the Univ. of Southern California in 1966, graduating 2 years later with honors. 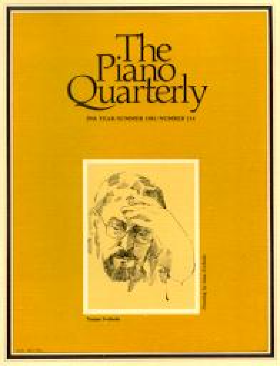 A front cover tribute to Tomas Svoboda by the highly respected Piano Quarterly in 1981 plus a commission to write his CHORALE in E flat, for Piano Quintet (homage to Aaron Copland), Op.118 for Copland's "85th Birthday Celebration" in New York, continued his rise to recognition in America. Today, 1,300+ known performances of his music have taken place throughout the world, including 500+ orchestral performances with such major orchestras as the Boston, Philadelphia, Cleveland, San Francisco, Toronto, Monte-Carlo, Sapporo & Nagoya (Japan), plus the national orchestras of Guatemala and Costa Rica. On Dec. 12th 2012, Tomas Svoboda suffered a massive stroke and is recovering at a Care Home in Portland, Oregon.